Family businesses are facing the most explosive challenge in a generation. A new book by Jenifer Bartman and Evelyn Jacks addresses the challenge head on, and explains how advisors and their clients who are business leaders can defuse this potential time bomb: late succession planning. Advisors can also shore up their professional skills by studying the problem in depth in a new certificate course from Knowledge Bureau. Business leaders are under siege, but many may not know it yet. 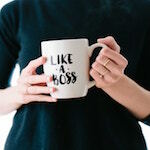 The unique issues affecting business owners today are significant, with additional evolution and challenges occurring with each day that passes. Excerpted from Chapter 10 of the Business Leadership, Culture and Continuity certificate course, also available as a component of the MFA – Executive Business Growth Specialist designation program. Building a succession plan for your business is a critical part of business continuity and is a critical part of every business owner’s and leader’s responsibility. A succession plan protects the legacy of the business you have built, maintains momentum, and ensures you receive full value for your business when you finally pass it on. Because transitioning a business can be a lengthy process, it is important to develop your plan as soon as you feel your business has been stabilized, and to renew your plan every year as adjustments may need to be made. Few businesses run without people. Mentorship of your staff will play a critical role in your ability to move out of the business so others can grow and develop and you can eventually move on. Building a culture of mentorship involves coaching, supporting and pushing your people, so that they also learn how to mentor those who report to them. This kind of broad-based development elevates your overall organization to its highest level of potential. Reviewing your options for your succession plan will help bring clarity to your preferred path, as well as ensure you are considering as many possibilities as might be available to you. A staged transfer of business is often the most common scenario, so you will need to consider how this will occur and plan for what will likely be some ongoing involvement on your part during a transition. Knowing when to let go so others can grow is part of your responsibility as a leader. Recognizing the signs that it is time to move on and make room for new leadership is what leadership is all about. 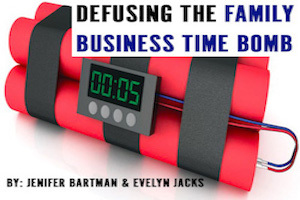 Additional educational resources: For more information on the core issues affecting business owners today, order your copy of Defusing the Family Business Time Bomb, by Jenifer Bartman and Evelyn Jacks. Advisors and business owners may also wish to take two relevant and very valuable certificate courses from Knowledge Bureau: Business Valuation for Advisors, and Fundamentals of Succession Planning. COPYRIGHT OWNED BY KNOWLEDGE BUREAU INC., 2019. UNAUTHORIZED REPRODUCTION, IN WHOLE OR IN PART, IS PROHIBITED.